With an Avalon Waterways cruise, it’s easier than ever to visit this stunning and charming city. Here are a few ways you can make the most of your day in this awe-inspiring city. A visit to the famed Rijksmuseum should be a must for everyone visiting Amsterdam. Home to some of the most spectacular paintings from artists like Rembrandt, Vermeer and Van Gogh, you’ll leave with a better understanding and appreciation for the Dutch people and their past. A canal cruise is the perfect way to take in the sights in a calm and relaxing way. Cruise under the arched bridges and get an up-close view of the decorative homes and storefronts that give the city so much character. Find a pancake house and try poffertjes. These miniature pancakes, traditionally served with butter and powdered sugar, are a local favorite. Rent a bike and experience the city like a true local. 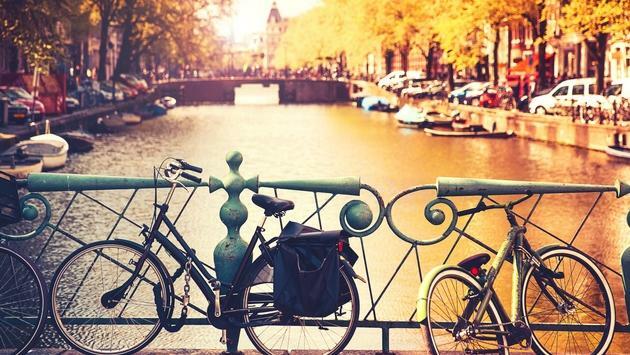 More than 75 percent of Amsterdam’s population owns a bike and rides it every day, making it Europe’s biggest cycling city. If visiting in the spring, you can’t pass up Keukenhof Gardens. Each year, more than seven million flowers bloom here, all arranged in stunning rows and designs. If you really want to experience Dutch life, visit Zaanse Schans. Just outside of Amsterdam, you’ll find traditional windmills, cheese shops, bakeries and wooden clog workshops. For more information on Avalon Waterways and their cruise offerings, visit their blog here. There’s only one point of view on an Avalon Waterways® river cruisethe suite view. Their entire fleet in Europe and Southeast Asia is completely comprised of Suite Ships®, each featuring our Panorama SuitesSM, with the widest opening windows in river cruising, the industry’s only Open-Air Balcony®, and an inviting bed facing the ever-changing scenery.